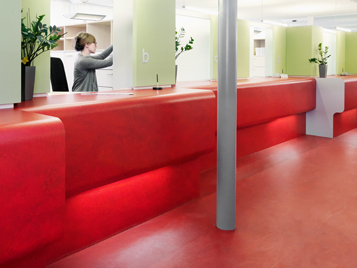 The Flooring Systems division is a global provider of premium commercial and residential floor coverings. 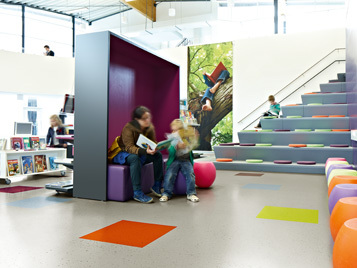 With an extensive and attractive range of environmentally friendly linoleum, high-quality vinyl flooring, entrance flooring systems for cleaning and drying shoes, carpet tiles, needlefelt floor coverings and Flotex – the washable textile flooring – as well as building and construction adhesives, we play a key role in shaping how people experience an environment. The floor coverings from Flooring Systems combine attractive and innovative design with durability and a high standard of quality. With over 65% of the market, Forbo is the global market leader in linoleum, which continues to be an extremely popular choice even after 150 years. 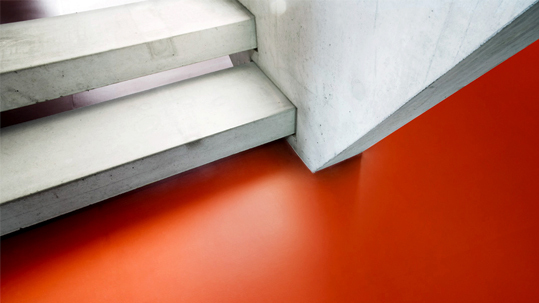 Linoleum is a natural product made from renewable raw materials that are subject to strict controls. It is manufactured using the natural raw materials linseed oil, rosin, wood flour and limestone, as well as jute and pigments. A thoroughly natural product and the most environmentally friendly elastic floor covering that there is today. 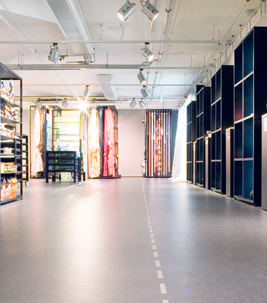 Flooring Systems offers a comprehensive range of high-quality vinyl floor coverings for commercial premises that are available in a wide variety of specifications, designs and color nuances and are tailored to customers' specific requirements. Sheet vinyl includes acoustic, conductive and anti-slip product features that are additionally combined with a new, dirt-repelling top layer treatment. 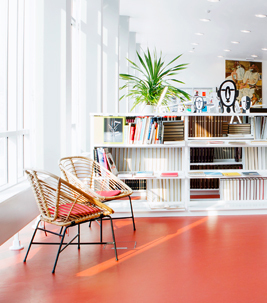 High-quality vinyl design tiles round off the offering. 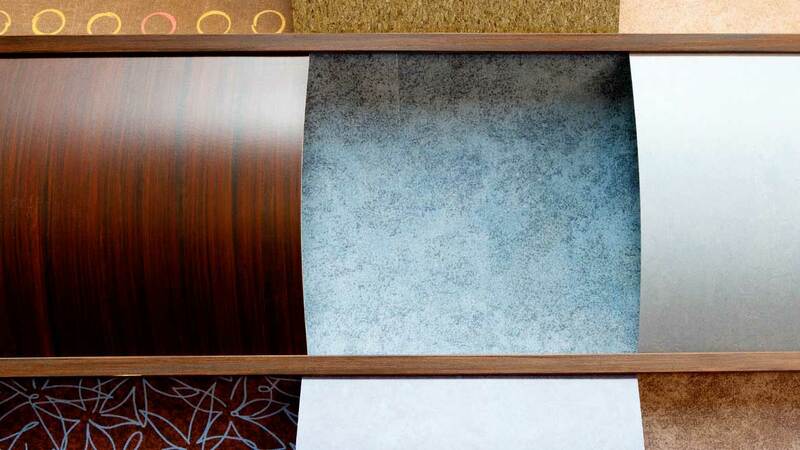 With their extremely realistic wood, stone and metal designs, they offer architects, interior designers and planners a vast range of options for creating the most diverse room concepts. With its Novilon and Novilux brands, Flooring Systems also offers vinyl coverings for residential interiors that create a special ambience for your home with their wide range of designs and colors. 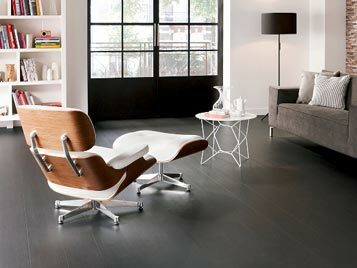 Novilon is now also available in tile and planks format with modern wood and stone collections. 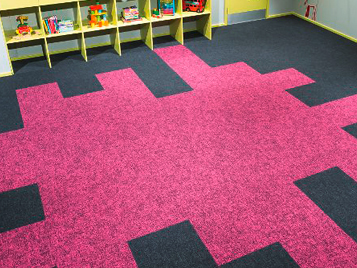 Flooring Systems is the only provider in the world to offer Flotex, the washable textile floor covering that is as comfortable as carpet and as easy to clean as a resilient floor covering. Thanks to its ability to withstand a very high level of wear and tear, this unique, durable product is ideal for areas with heavy traffic and where comfort is a must. In addition, innovative flocking and printing techniques ensure a very broad scope for individual design choices. 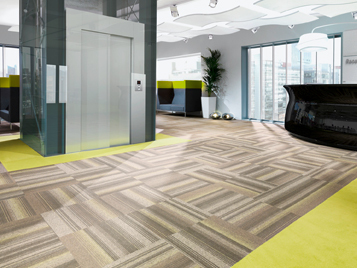 Flooring Systems offers modern office spaces, hotels and public buildings high-grade carpet tiles that have impressive acoustic properties and ensure a warm atmosphere. 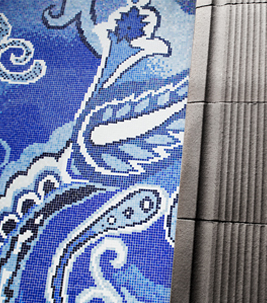 They can accommodate frequent changes and new requirements, provide a wide range of color and design options and have the added advantage of being easy to replace in the event that an individual tile becomes damaged. 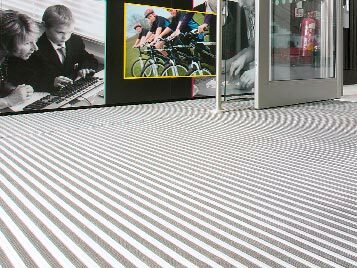 Our entrance flooring systems make a good impression and help prevent slips, trips and falls, step by step. 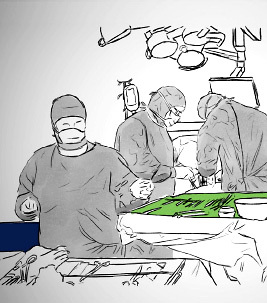 They protect the floor coverings in foyer areas against tracked-in dirt, prolong the life of interior floor finishes and coverings and make sure visitors can make their way safely into a building, such as an airport, supermarket, shopping mall, school or hospital. The robust, hardwearing properties of needlefelt make it particularly suitable for areas where chairs with castors are likely to be in use, such as in offices, administrative areas and sales rooms, as well as in parts of hotel facilities with a high level of traffic. In contrast to carpet, needlefelt is often a more cost-efficient alternative for high-traffic areas where a textile look is needed. 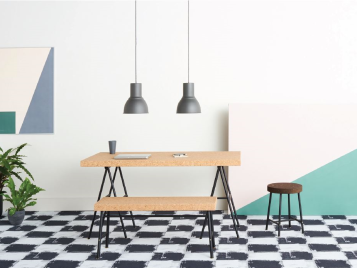 Flooring Systems has established close cooperations with architects and designers to create new designs and to implement new ideas across our wide product offering. How such a cooperation works is shown by the example of a cooperation with HemingwayDesign, UK, in the following trailer. 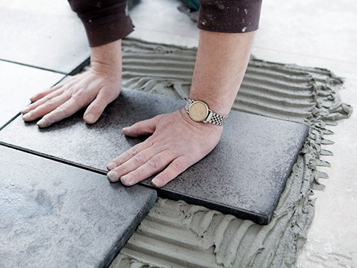 Under the brand name Eurocol, Flooring Systems provides adhesives for floor coverings, ceramic tiles and parquetry, as well as mortars, grouts, leveling compounds and sealants. Here you will find the addresses and contacts of our local sales organizations around the world.